Three filigree discs patterned with openwork flowers and milgrain beading come together to create this intricately crafted charm in sterling silver. Wear it as a part of a floral styling. 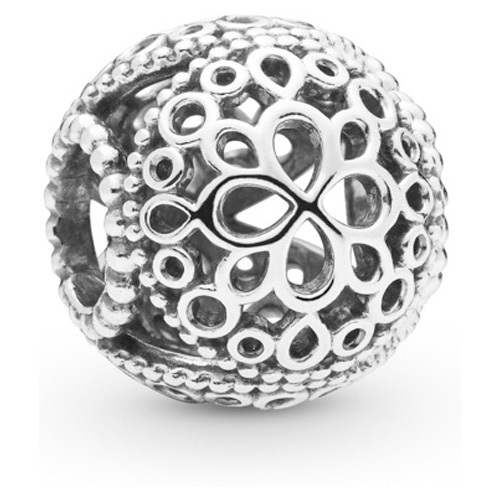 Also available in Pandora Shine ™, 18k gold-plated sterling silver.